Southern Blend is formulated specifically for hot, humid climates where most clearcoats tend to blush or die back during the drying process. 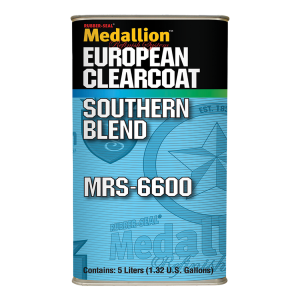 This clearcoat is easy to spray, easy to buff, and is the perfect solution for hot, humid weather. It mixes 2:1 with MRS-6360 Fast, MRS-6375 Medium or MRS-6390 Slow Activator. Available in 5 liter cans only.